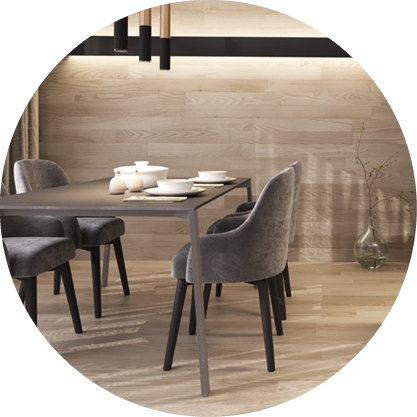 Rug Fibre - Experience The Exceptional Range At Carpet Court! When choosing the perfect rug for your home, not only are colour and style popular considerations, but equally as important is the fibre in which the rug is made from. 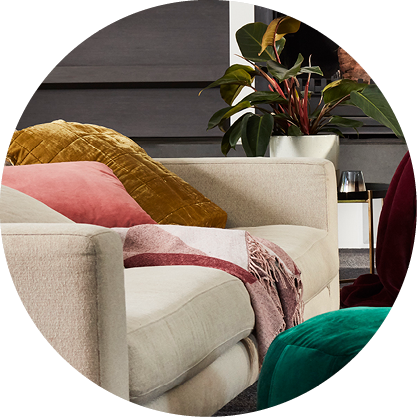 Your options can vary from pure wool to synthetic fibres, as well as blends and understanding the differences between each type is important when making the best decision for your home and lifestyle. 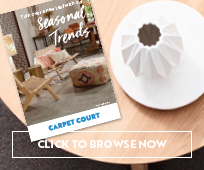 Browse our range of rug designs and speak with Carpet Court’s friendly staff who will assist you in understanding the different types of rug fibres, helping you make the best decision for your needs. Why is fibre type important to your rug choice? If you were choosing new carpets you would consider which carpet fibre is best suited to your living conditions, home environment, lifestyle and budget. These factors also need consideration when you are purchasing rugs as your rugs can receive as much foot traffic and wear and tear as carpets. 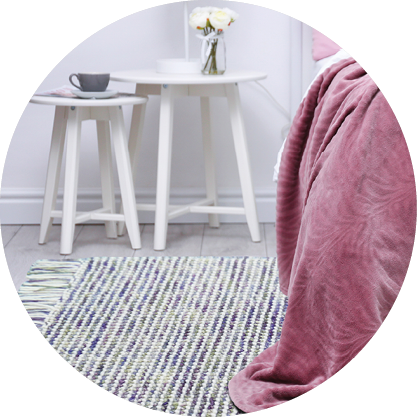 While rugs bring texture, colour and design appeal to your home decorating theme, they also have practical benefits such as comfort, warmth and protection, so think about why and where you need a rug before you make your purchase. The helpful staff at your local Carpet Court store can discuss the different properties of varying fibres with you, and help you to find the perfect rug in the ideal fibre for your lifestyle. 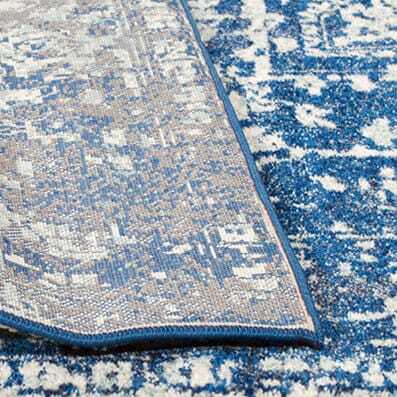 What types of rug fibres can you choose from? 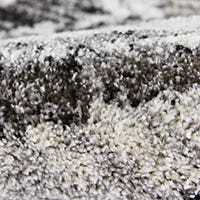 What should you consider when choosing the rug fibre? Choosing the right rug fibre for your environment can impact on the lifespan of the rug and the enjoyment you get from it. For example, if your rug is going into a room which receives a lot of direct sunlight, then a fibre with strong fade resistance is recommended. Consider synthetic fibres such as polypropylene, polyester, acrylic or viscose. Do you live in a cold climate and need good insulative properties in your flooring? 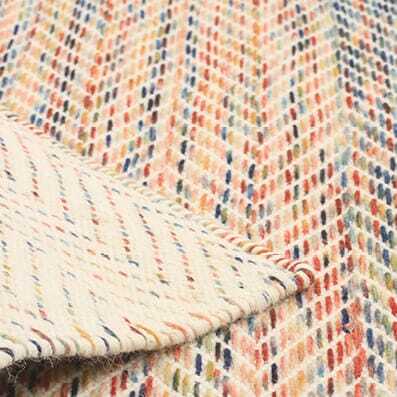 Then you’ll want rugs with warm, dense fibres which feel cosy under foot. You can’t go past the supremely tactile, highly insulative and luxurious pure wool Haven collection for warmth and sophistication. The huge range of rugs within the popular Skandi collection are designed in a variety of fibres including pure wool, pure hemp and blended wool with upcycled sari silk fibres. Do you have pets and young children? A rug which is both easy to clean and has high soil and stain resistance should be top priority. Contemporary rugs such as the low maintenance, 100% heat set polypropylene Gemini range and the hardwearing 100% acrylic City Modern collectionare ideal for modern family homes. 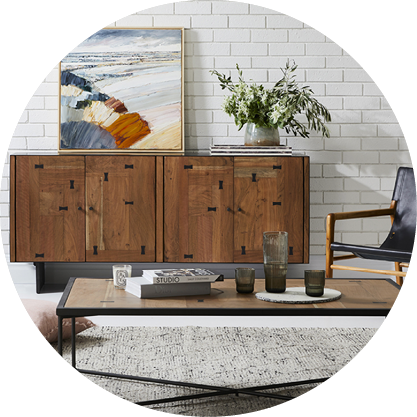 If allergies and sustainability are topics dear to your heart then non-shedding, natural fibre rugs in cotton, jute, sisal or blends will find a place in your home. Popular rugs such as Abode Chevron and Abode Diamond are hand made in India made from 50% cotton and 50% jute for a natural look and feel. 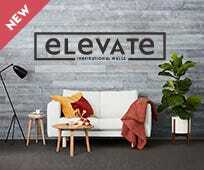 Are there natural fibre rugs available? Yes, our exclusive rug range includes a great selection of natural fibre rugs. 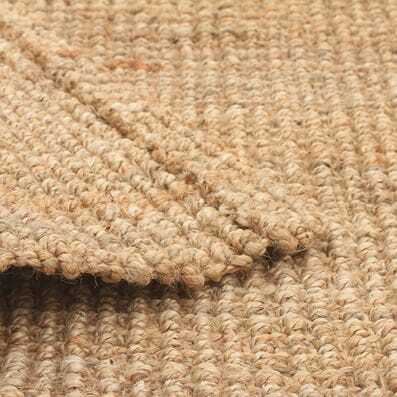 For casual living spaces the cute and trendy Atrium rugs made from natural, top quality 100% jute fibres are the go. 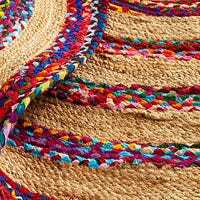 You will also find natural cotton, hemp and for the eco-conscious shoppers our sisal rugs are sourced from renewable plantations. 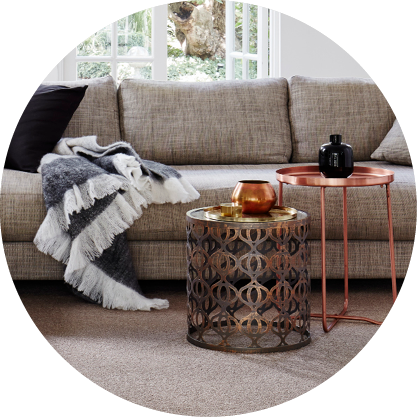 What synthetic fibre rugs can you choose from? For soil, stain and crush resistance you can’t go past the super durable and easy-to-clean 100% polypropylene rugs. Ideal for both indoors and in the alfresco areas of the home, our Alfresco, Calypso and Empire collections are just some of the synthetic fibre rugs which add stylish elements to the room with practical appeal too. The synthetic fibres in our delightful assortment of rugs includes super soft and durable polyester which outperforms nylon and polypropylene in terms of softness and comfort. Resilient polyester rugs also have excellent fade and stain resistance properties making them ideal for todays’ home designs and modern families. In the Twilight rug collection five solid coloured rugs made of 100% quality viscose add wow factor to both modern and traditional décor. Constructed from wood pulp, viscose has a soft and silky feel while also being a good insulator. At Carpet Court you will find rugs you love which are a perfect fit for your home and family.